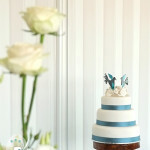 Larissa & Cian were treated to a beautiful day with perfect weather for their Rainbow Beach wedding earlier this month. 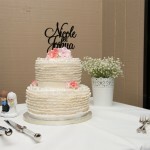 They chose white chocolate mud for the top tier of their wedding cake, with a dark chocolate mud cake for the bottom tier. 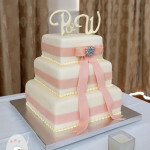 Both tiers were made in a larger than standard height and covered with white chocolate buttercream icing. 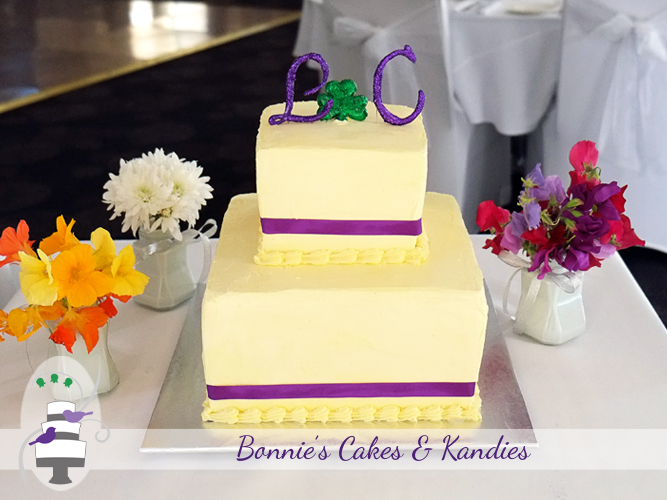 Along with edible purple initials, a glittering green gumpaste shamrock took the place of an ‘&’ on the top tier, as a special surprise from the very sweet bride to her groom. 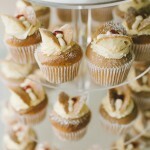 As an extra surprise to both the groom AND the bride, I made four chocolate cupcakes especially for them to enjoy after the wedding. 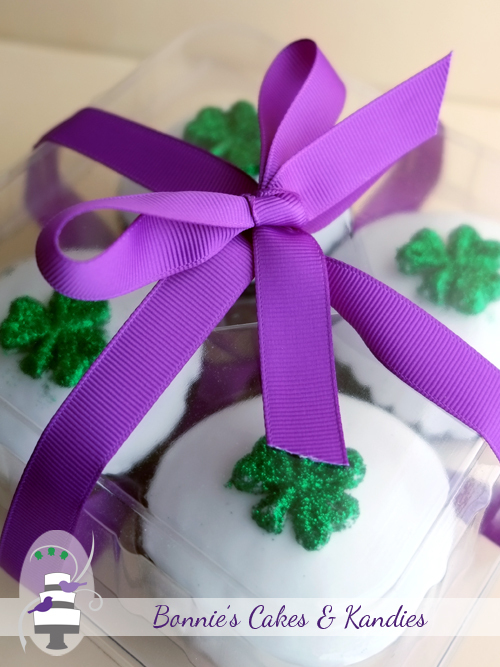 Topped with fondant, I placed a small edible shamrock on the top of each cupcake. 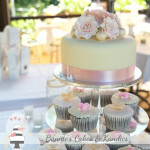 Chocolate cupcakes for the bride & groom to enjoy together after their wedding | Bonnie’s Cakes & Kandies. 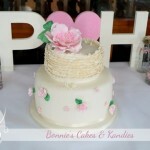 Thanks Larissa & Cian for choosing Bonnie’s Cakes & Kandies to make your wedding cake. 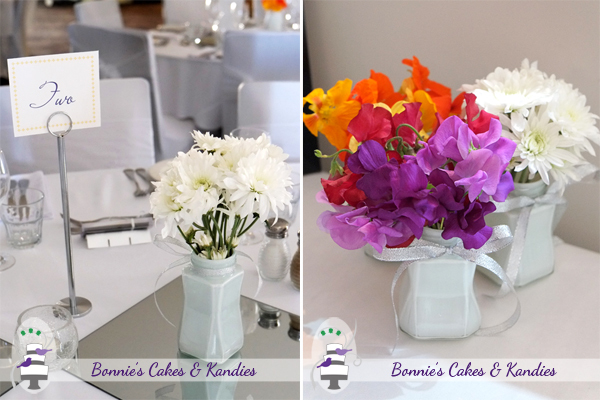 May your lives together be filled with love and joy!